The federal government Advisory Commission on Childhood Vaccines (ACCV) under the U.S. Department of Health and Human Services just concluded their second meeting of 2018 on June 15th. These quarterly meetings include a report from the Department of Justice (DOJ) on cases settled for vaccine injuries and deaths as mandated by the National Vaccine Injury Compensation Program (NVICP). 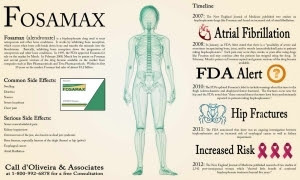 The NVICP was started as a result of a law passed in 1986 that gave pharmaceutical companies total legal immunity from being sued due to injuries and deaths resulting from vaccines. Drug manufacturers in the vaccine market can now create as many new vaccines as they desire, with no risk of being sued if their product causes injury or death. This has resulted in a huge increase of vaccines entering the market, and the U.S. government, through the Centers for Disease Control (CDC), is the largest purchaser of these vaccines, spending in excess of $4 billion taxpayer dollars each year to purchase these vaccines. If you or a family member is injured or dies from vaccines, you must sue the federal government in this special vaccine court. Many cases are litigated for years before a settlement is reached. As far as we know, Health Impact News is the only media source that publishes these reports each quarter. Past reports can be found here. The June 15, 2018 report states that 263 petitions were filed during the 3-month time period between 2/16/18 – 5/15/18, with 147 cases being adjudicated, and 113 cases compensated. But for some reason, the DOJ report only lists 68 of the settlements, leading one to wonder why only these particular cases were listed. These 68 cases, specify the vaccine, the injury, and the amount of time the case was pending before settlement. 53 of the 68 cases were for injuries (and one death) due to the flu vaccine, making the annual flu shot the most dangerous vaccine in the U.S., by far. Public Confidence in Vaccines Sags, New Report Finds. According to a survey released Monday by the American Society for Microbiology and Research in America, the percentage of American adults who say it’s “very important” to have their children vaccinated was down 11 points over the past decade, at 71 percent in May from 82 percent in 2008. The percentage that expressed confidence in the system for evaluating the safety of vaccines to determinate their proper use dropped 8 percentage points, from 85 percent in 2008 to 77 percent in May. Likewise, the survey found that the percentage of Americans who strongly believe they have benefited from the development of vaccines over the past 50 years has dropped from 75 percent a decade ago to 59 percent this month. US News and World Report May 21, 2018. (Natural News) The Centers for Disease Control (CDC) is essentially the vaccine compliance and enforcement division of the pharmaceutical industry. Their newly developed program, Immunization Information Systems (IIS), is part of the roll out of a kind of “medical police state” which would allow the government to monitor and track the mandatory vaccine compliance of every citizen. 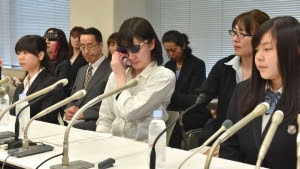 In Japan, young women and girls suffering from severe chronic generalized pain following vaccination with Merck’s Gardasil® or GSK’s Cervarix®, have organized and are speaking out. The issues are being debated at public hearings, at which scientific presentations have been made by independent medical experts who validated the women’s suffering with documented evidence of the severe nature of the pain related to the HPV vaccine. Such public debates do not take place where vaccine stakeholders are in full control of vaccine safety information. (Like in the U.S., for example.) Following a public hearing (February 2014), at which scientific evidence was presented by independent scientists, the Japanese government, not only rescinded its recommendation that girls receive the HPV vaccine, but established guidelines and special clinics for evaluating and treating illnesses caused by the vaccine. It is a scenario that Merck, GSK, and vaccine stakeholders globally are extremely anxious to suppress. It is no secret that huge conflicts of interest exist between vaccine promoters and vaccine makers. Pediatrician and vaccine developer Paul Offit, for example, who is one of the nation’s leading promoters of mandatory use of government recommended vaccines, holds a $1.5 million research chair at Children’s Hospital in Philadelphia, funded in part by Merck. Julie Gerberding left her post as Director of the Centers for Disease Control and Prevention (CDC), where she oversaw the creation of national vaccine policies, to head Merck vaccines. Former Texas governor Rick Perry recommended state-wide inoculation of all 11- and 12-year-old girls with Merck’s Gardasil vaccine after his chief of staff left to work at Merck. Just as disturbing are the millions of dollars that officials at the National Institutes of Health (NIH) dole out to academic institutions and vaccine manufacturers to improve vaccine technology, find new, lucrative markets and boost vaccine marketability—functions that guarantee the profitability of corporations, but do not always ensure the well being of taxpayers, the public and patients. Today, taxpayer-supported research to develop new drugs and vaccines is voraciously patented by universities and drug companies for outsized Wall Street profits when the research rightfully belongs to taxpayers. Development of the human papillomavirus (HPV) Gardasil and Cervarix vaccines is a case in point. The initial research was funded by the NIH, National Cancer Institute, University of Rochester, Georgetown University and the University of Queensland, which licensed them to Merck and GlaxoSmithKline. In 2015, Merck made $1.9 billion on its Gardasil franchise. Some lies are so big, many people can’t accept the fact that they’re lies. Their minds are boggled. “No,” they say, “that couldn’t be.” But yes, that could be, and is. Two giant vaccine scandals are in progress at the moment. The mainstream press is mentioning them, here and there, but without any intent to raise alarms, dig in, investigate, and get down to the core of the problem. So I’ll get to the core. The first scandal revolves around the flu vaccine for the current year. The CDC and other “experts” have admitted the vaccine has a very low effectiveness rate. Why is it a dud? Because the vaccine is produced using chicken eggs, and in that medium, the flu virus—which is intentionally placed in the eggs—mutates. Therefore, it isn’t the same virus which is causing flu this year. Therefore, no protection against the flu. Ten percent effectiveness. Now that’s ridiculous. And it’s assuming you accept the whole model of how vaccines work—that they actually do protect (safely) against disease, rather than, at best, repressing the visible symptoms of the disease. Amidst their spotty coverage of this scandal, here is what the press is failing to mention: the problem with the flu vaccine isn’t just a 2017-2018 flaw. It would be the same problem ever since chicken eggs have been used to manufacture the vaccine. Seventy years. The same problem. The same “low effectiveness” problem. That’s a page-one story with a giant headline. That’s the lead item on the nightly news. That’s a pounding investigative series about the lunatic promotion of a massively ineffective—but universally promoted—vaccine going back decades and decades. But it isn’t a giant headline. It isn’t an investigation. It’s a here-today-gone-tomorrow piece. That’s all. The second scandal keeps unfolding in the Philippines, where drug giant Sanofi’s Dengvaxia, given to prevent Dengue Fever, is facing enormous pushback from government officials, who stopped the national vaccination campaign, after thousands of children already received the shot. Did you get that? The company (Sanofi) itself warned that vaccine might not be safe. But let’s dig even deeper. Sanofi saying is saying the vaccine might be dangerous for those who haven’t been exposed to the Dengue virus before getting the shot. What on Earth does that mean? It means a child who had naturally come in contact with the virus would have developed his own antibodies to it. And later, those antibodies would protect him against the Dengue virus IN THE VACCINE. Otherwise, the virus in the vaccine could give him a case of Dengue or cause some other form of damage. Of course, the press isn’t getting the picture. If any reporters are seeing the light, they’re keeping their mouths shut. The scandal is too big and too crazy. Between the lines, a vaccine company is admitting their vaccine is only safe for children who don’t need it. A tree just fell in the forest. Who heard it? Just as disturbing are the millions of dollars that officials at the National Institutes of Health (NIH) dole out to academic institutions and vaccine manufacturers to improve vaccine technology, find new, lucrative markets and boost vaccine marketability—functions that guarantee the profitability of corporations, but do not always ensure the well being of taxpayers, the public and patients.